Crafted from a stretch woven fabrication, these dark wash jeggings feature shape enhancing slimming panels for a "mold & hold", figure-flattering - fit. Most Comfortable Skinny Jeans Ive Ever Owned! These are HANDS-DOWN the most comfy jeans I have ever owned. 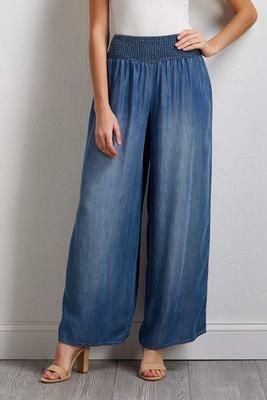 They LOOK like jeans, not jeggings. 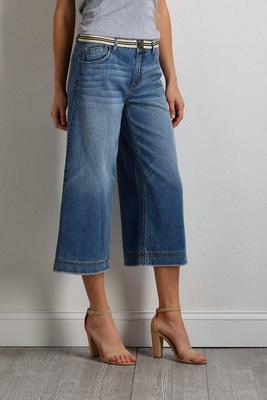 I normally dont care for the stretch fabric and I normally dont spend $50 on jeans but I liked these so much, Im going to order another pair in a lighter wash! I notice the same exact style in colors maroon, gray are not made from the same fabric percentage breakdown 54% cotton, 27% rayon, 17% poly 2% spandex so not sure about their comfort. They have a 1-1/2 wide support band inside the waistband that helps hold tummy in, I highly recommend! Oh, I normally wear a size 4, but bought a 2 in these and actually could probably wear a 0. I havent washed yet so they may shrink a bit, not sure. Also, my 19 year old great-niece tried to steal them from me!